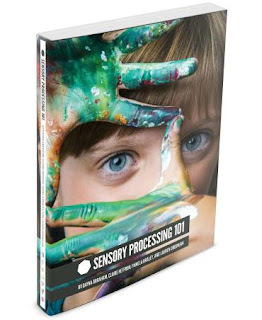 Take a look in a classroom or an Occupational Therapist's clinic. You might see a few interesting seat cushions. There are bright blue disks, wedges of different sizes, and even giant therapy balls. All of these sensory seating ideas are perfect for vestibular input during sitting. Therapy cushions are designed to promote movement and wiggling to allow for improved attention and needed sensory input. Wiggle cushions like these are used for self regulation and allow students to attend to classwork or sit at the dining room table while participating in functional tasks because their body has an opportunity to fidget with calming or alerting sensory input. These types of seats allow kids to keep their mind focused and help kids who can't seem to sit still. Address vestibular needs with this easy therapy hack! Therapy discs or cushions are perfect for so many kids. There is no denying that they help many children and even whole classrooms stay on task. But, the biggest issue with these types of therapy seating options is the price. At $25/cushion (or more! ), it can become a pricey option for better attention. Today, I've got a simple sensory hack for therapy cushions. This is a tip that I've recommended for years as a pediatric Occupational Therapist. School districts that simply could not afford to purchase one therapy cushion were able to use this therapy hack to help with attention and sensory needs. Every time I've shared this tip with parents, teachers, and administrators, I've gotten wide eyes and a "ooooh" type of response. Ready? Grab a beach ball from your nearest dollar store. Inflate it with only one or two breaths. Place the beach ball on a chair. Watch your little one wiggle and move while attending to their math homework, spelling list, or dinner conversation. Some classrooms that I've serviced as an Occupational Therapist had decided to use partially inflated beach balls with many of the students. 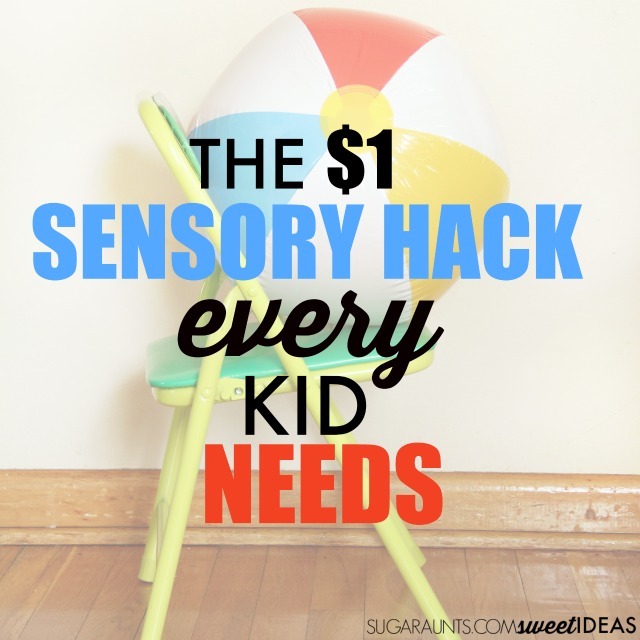 This sensory hack is an easy fix for every child, whether they exhibit attention or sensory needs or are neurotypical children. Moving and fidgeting is an attention strategy that every one of us uses. Try this inexpensive sensory hack with your kiddo. Sitting on the partially inflated beach ball adds an unstable seating surface and allows for just enough movement that children can better focus and attend. They are given vestibular input through their trunk to help with fidgeting needs. Need more movement ideas? Try balance beam activities. Place it on the floor for a movement surface for the feet. Given the chance to move the feet, most kids are able to better attend to desk work. NOTE: A $1 beach ball will NOT last forever. It will pop at some point. Excessive sitting and standing with force will shorten the lifespan of your sensory seating hack. Be aware that while this is a great seating option for kids with attention and sensory needs, it is not the intended use of a beach ball. Inflating the beach ball more than a few breaths will make the seating surface more firm, however, it will make the beach ball more prone to popping. TIP: Some kids might tend to slide forward into a slouched position when sitting on the partially inflated beach ball. Add a sheet of dycem to the surface of the seat to keep the beach ball from sliding.